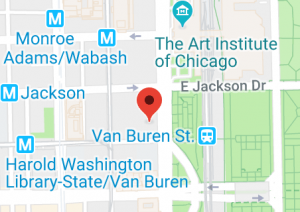 Each year, Chicago Debates organizes debate competitions in addition to the regular season tournaments. These events, sponsored and hosted by private partners, provide students with the opportunity to experience a professional work setting, interact with professionals, and attend career panels or workshops. This Invitational takes place at Allstate’s headquarters in Northbrook, kicking off each season. Top CDL Varsity teams from each conference compete at the event. The Allstate Fall Invitational provides a unique opportunity for some of our rising stars to gain exposure to the business world, to Allstate’s beautiful campus, and to the many professional role models at Allstate. Mayer Brown sponsors and hosts this qualifying event for the Urban Debate National Championship. The event also includes an opportunity network with professionals and learn about pathways into the legal profession. The two teams winning the most ballots go on to represent Chicago at the National Urban Debate Championship. McDermott Will and Emery sponsors and hosts ten of the top Junior Varsity CDL teams for this invitational, held at the law firm and featuring a panel discussion on careers in the law. 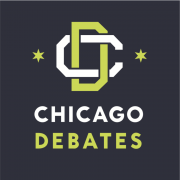 Citigroup sponsors this annual tournament, run by Chicago Debates in partnership with the National Association for Urban Debate Leagues, in which 10 teams debate on important financial literacy issues, such as home ownership, college affordability, and credit. Citi employees provide content expertise to students as they prepare for the tournament and serve as judges for five rounds of debate. The top two teams after those rounds compete in a final round at a local school before an audience of 50-100 students, debaters, coaches, and judges.